Beautiful Architecture in Historic towns. History: Tomo Chi Chi & Oglethorpe…Founders of Georgia. Grave Monuments. River Street. Seafood. Historic Street Walks. Partying with Strangers. 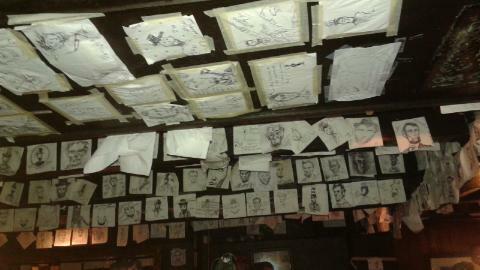 Drawing Abe Lincoln on Beer napkins at The “Lincoln” Bar. Green Fountains. Silly Boat Tours. Frozen Drinks. Industrial Sites. Weeping Willow Tree Shade. High Fiving Cool Cops. Sweet Heat. A Tanners Dream. “Kiss Me If You’re Feeling Lucky” T-Shirts & Beads. Luxury Hotels. A Green Stretched Parade From Street to Street. Hot tubs and Pool Nights. Long talks in the Lobbies and Late Night Food Joints. Laughter filled streets. National Tourist Galore. And Weekender Memories to be Made!!! This all occurred on a spur of the moment trip last week to Savannah, GA for Saint Patties Day weekend! Both of my friends birthdays had just passed in the week and we had no idea what to do in Atlanta. We wanted more than the usual dinner, club, and drink until you can’t feel your face kind of celebration. We wanted a more mature feel…a celebration that would be more memorable. We all had crazy work schedules and traveling out of state was a HUGE no and we all needed some sort of relief from our weekly and sometimes weekend work day stress. We needed a trip out of our city but still close enough to home to answer a phone call or two from work and be able to still achieve our work goals without having to worry too much. Neither of us wanted to use up our later on vacation days so we decided to find something fun to do for a weekend. A friend had reminded me that Saint Patrick’s Day was coming up and he had booked a hotel in Statesboro for the weekend because all of the Savannah hotels were booked up for that Friday. 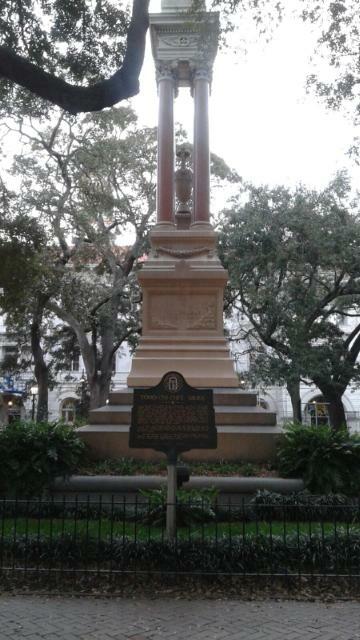 I had been to Savannah the previous year for Saint Patrick’s Day for a friends Birthday and it was a short but fun trip yet it rained the entire time so we hardly got to do much. So the light bulb finally lit up in my head. Let’s go to SAVANNAH! It was only about three and a half hours away from home, convenient, and neither of my two friends had been so I decided to treat both of them and myself on this trip. We aligned our schedules and I searched for a hotel that we all would enjoy that was close enough to the historic cobblestone made, River Street festivities on the Savannah River that filled up the historic city on East and West Bay Street. I searched online and though everyone told me that hotels were all booked up I decided to compare them all and do the research by myself by calling all the ones that I liked that also fit my budget. I found several hotels that were not fully booked up on the day I wanted to go so it’s always best to do your OWN research and do not just rely only on ONLINE booking because sometimes they may not have the room that you desire. I decided to go with the Hilton Garden Inn. The hotel had just been renovated, had great reviews, fit my budget, had all the amenities that I preferred, and it was in the perfect location. 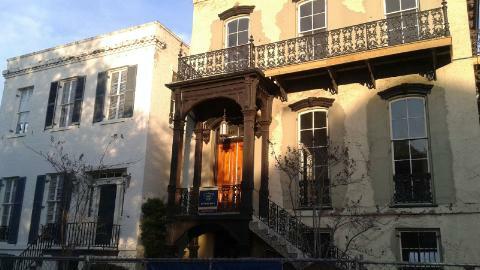 Right across the street from River Street. I booked my hotel then prepared for our trip. I packed up for the trip in the next two days, hit the road, and road tripped it on out with my girls. When we arrived the city was full of green from strip to strip and street to street. 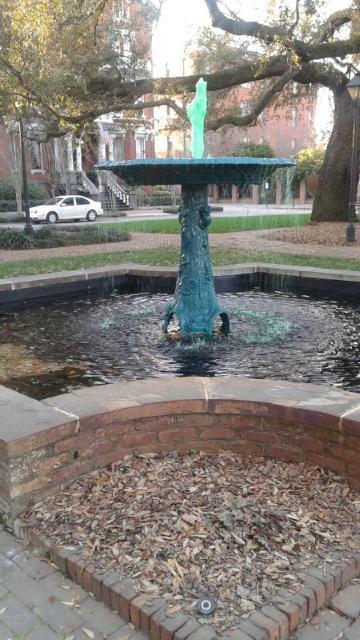 They even had a green water flowing fountain! The valet greeted us politely at the entrance of the hotel and I was glad to see how close we were to everything. Our room and hotel was so nice. After check in we hit the hot tub to relax a bit, and then we got all dolled up and hit the street. Historic Structures In The City. Weeping Willow Tree’s In Front Of River Street Vic’s On The River Restaurant. 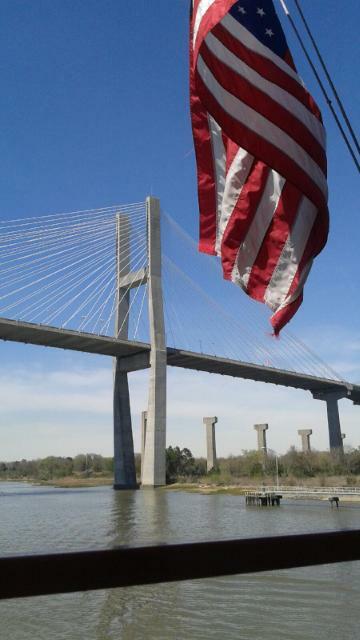 Bridge over The Savannah River captured during the boat tour. 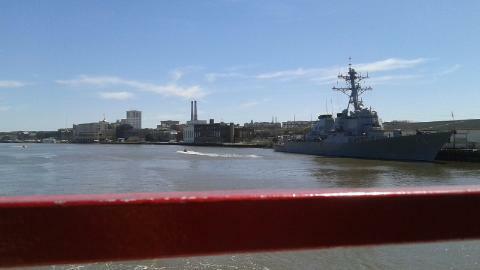 River view of the City Of Historic Savannah. 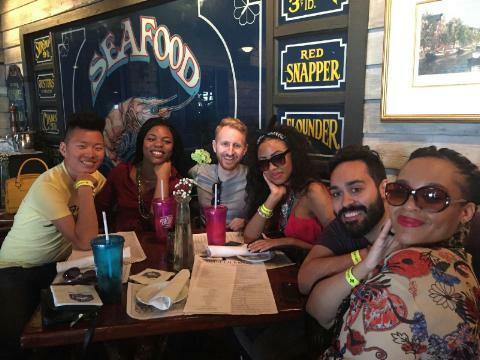 Seafood Restaurant Fun With Other Tourists Who We Met. 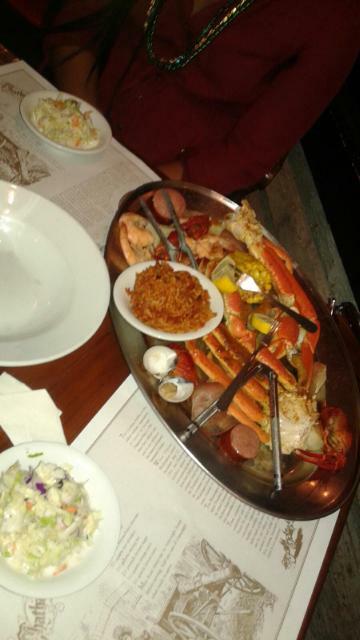 Crab leg Plate At A Seafood Restaurant On River Street. Festive Green Fountain in a Neighborhood Square. 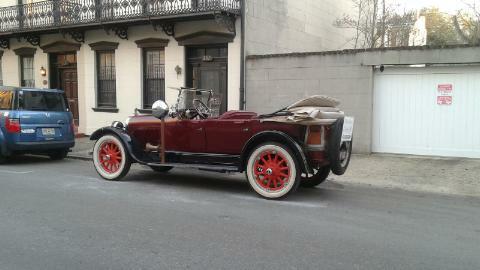 Vintage Vehicle On The Street By The City Square. 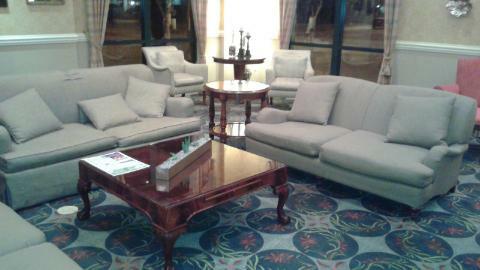 The Hilton Garden Inn Lobby Where we lounged during late night conversations and watched T.V. Tomo Chi Chi, a Native American founder of the city and Georgia who helped Oglethorpe, monument and gravesite. Abe Lincoln beer napkins taped all over the walls and roof of the “Abe Lincoln” Bar. 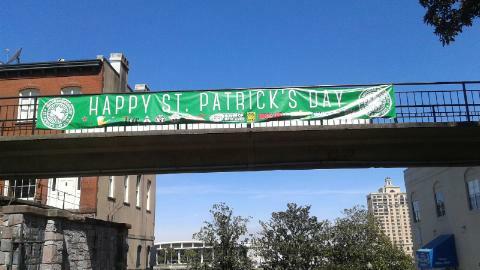 St. Patrick’s Day welcoming banner before you enter River Street. 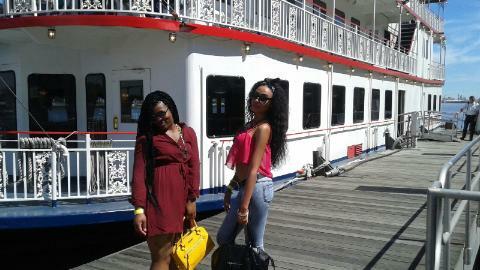 My friends before they entered the River Boat for the Savannah River and City Tour. 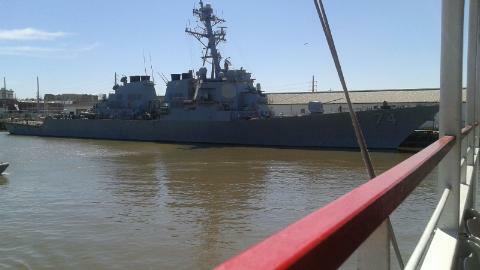 One of the many industrial, freight, and military ships that line the Savannah River. 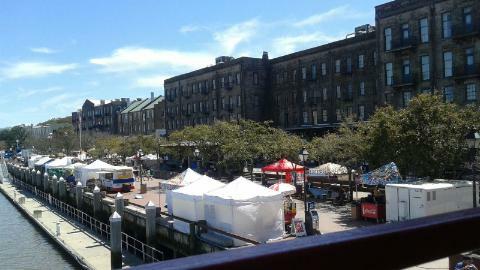 Tourist and Vendor filled River Street. If you haven’t planned a weekend getaway close to home just yet, I suggest that you get to planning. Knock off that bucket list, release the stress, have fun, and life your life to the fullest. Work will understand. Take advantage of each extra day. 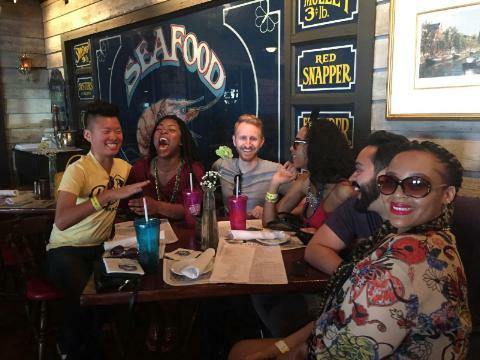 We all deserve a little fun, laughter, good company, great new experiences, and some good ol’ southern hospitality!!! 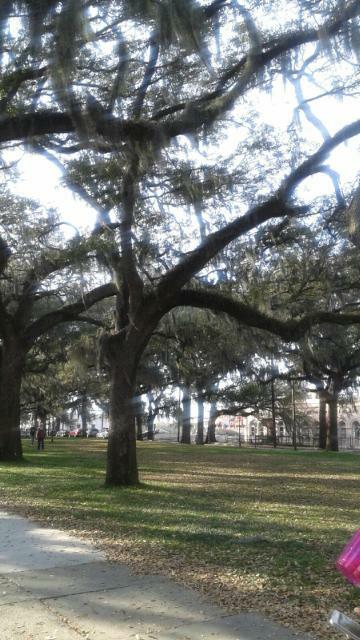 Savannah was just what we needed and more. Next stop…where ever my weekend spontaneity takes me. Coming back to work after a short vacay has never been more pleasant! One of my favorite cities/towns in America. Love the food as well as the history. Great place to get a bed and breakfast and relax with some southern food. Looks like you had a great time. Yes it is! I love it as well. It is a great city. Next time I’ll try staying at a bed and breakfast. How come I didn’t preview my comment? Smh *Savannah lol Anyway, thanks Etta! Yess!!! SO MUCH BEAUTY AND HISTORY IN THAT TOWN. You should definitely write about it! Previous PostQuote of the Week: Your talent has V-A-L-U-E!